Joss Whedon was attached to write and direct an adaptation of Wonder Woman, but the fell apart in February 2007, which worked out because A) he got to do The Avengers, and B) it sounds like his Wonder Woman story was terrible. 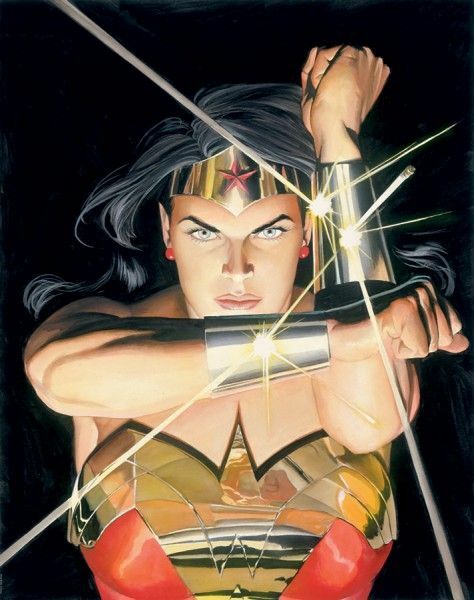 In a recent interview, Whedon says that his take on the character would have the Amazonian princess be a naive globetrotter who is overwhelmed by man’s inhumanity to man, but thanks to love-interest Steve Trevor, she learns how to deal with it. I understand Whedon didn’t want to make Flying Buffy, but I’m a little disappointed that a guy who knows how to write strong female characters would plot a script where the female lead can’t find her way without a man telling her to basically grow-up. Hit the jump for what Whedon had to say about his Wonder Woman movie. So the plot is basically Buffy telling Dawn again, “The hardest thing in this world, is to live in it,” but Buffy is now a man and Dawn is a hapless superhero.